SCC wraps up another impactful National Skilled Trades and Technology Week! 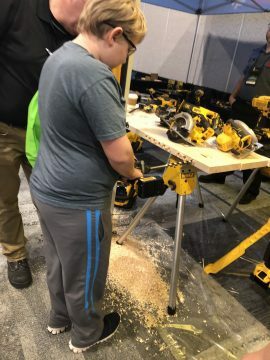 Skills/Compétences Canada (SCC) would like to thank everyone that participated at the Official Launch of the 14th National Skilled Trades and Technology Week (NSTTW), held on November 6 at the Halifax Convention Centre. 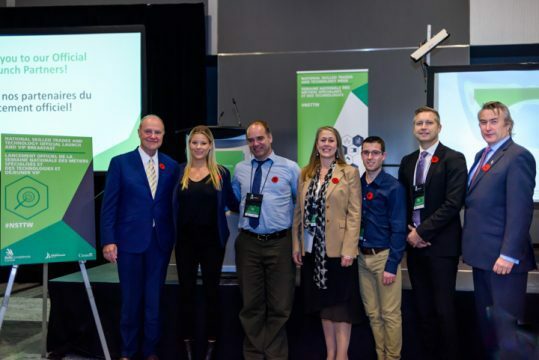 This year’s launch was a success with a record-breaking attendance that included industry and education partners, provincial government representatives and industry celebrity Sherry Holmes from HGTV’s Holmes Inspection, Holmes Makes it Right and Holmes Next Generation. 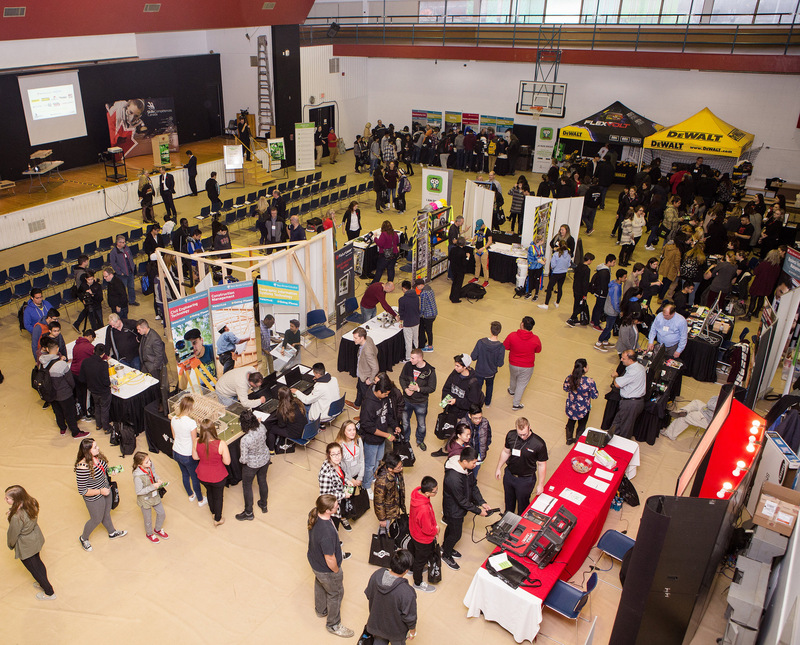 These special guests were there to encourage Canada’s youth to consider skilled trade and technology careers as first choice options. We would like to thank all of our partners who hosted over 30 Try-A-Trade® and Technology activities. At the NSTTW 2018 Launch, over 500 middle school and high school students and their teachers from the Halifax region attended this flagship event. 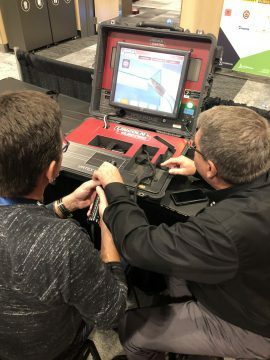 They tried the wide variety of interactive activities which give them a glimpse into the exciting skilled trade and technology career opportunities available to them. Thank you to our official launch partner the Nova Scotia Apprenticeship Agency for their involvement and support. SCC also took the opportunity to announce that the 25th Skills Canada National Competition will be taking place at the Halifax Exhibition Centre May 28 – 29. We hope you will join us in #creatingpossibilities for Canadian youth at SCNC Halifax 2019! What is National Skilled Trades and Technology Week (NSTTW)? NSTTW is a key date in the annual Skills/Compétences Canada (SCC) calendar. The goal of this week-long event is to promote and host awareness raising events around the many career opportunities in skilled trades and technology in Canada. 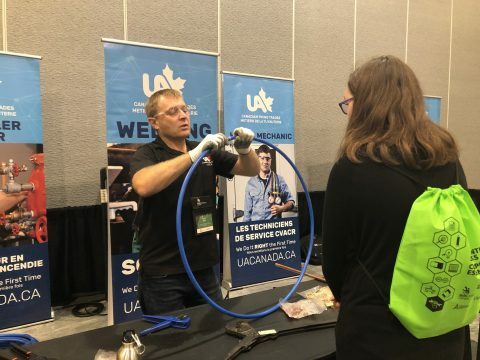 During NSTTW organizations from across Canada get involved with SCC in a “hands-on” way to promote skilled trades and technology careers to youth, parents and the public. It is clear that skilled trade and technology careers are important for our economy and an excellent career path for many young Canadians. Yet many Canadians either do not know what trade careers look like or what they entail. This week of events and information is dedicated to raise awareness through insight into the career options available. Skills/Compétences Canada’s plan is to work with its member organizations and partners to facilitate and host skilled trades and technology activities in regions across Canada, to engage business and political leaders in discussions about the importance of these careers for our country, to focus media attention on these careers and to highlight those individuals that pursued these paths themselves. Get Canada’s youth thinking about skilled trade and technology careers as a viable, interesting option. 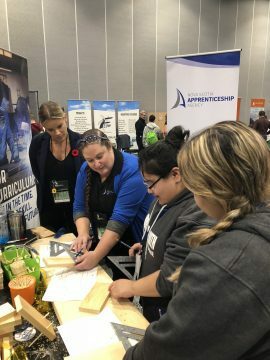 Get Canada’s youth to engage in projects/experiences involving skilled trades and technology, fostering conversations between industries, teachers and students. To engage with industry thought leaders and political decision makers creating a dialogue focused on the importance of encouraging uptake in skilled trades and technology careers to ensure that Canada remains at the forefront of competitive advantage in global economies.